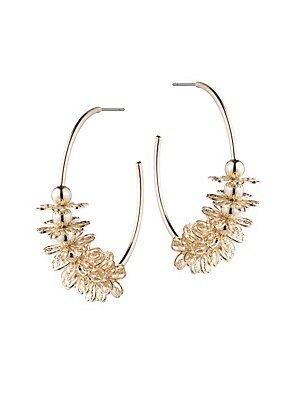 Beads and florals embellish classic hoop earrings. 12K goldplated Post back Imported SIZE Diameter, 2. Fashion Jewelry - Trend Jewelry. Dannijo. Color: Gold. 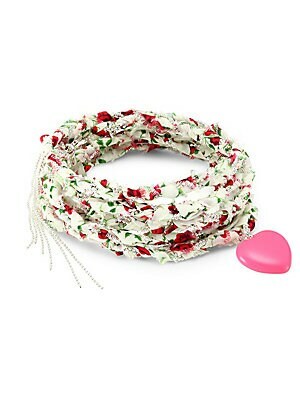 Bright enamel heart adorns woven fabric wrap bracelet. Can also be worn as a necklace. Cotton Plastic Silvertone Imported SIZE Length, about 17.7. Fashion Jewelry - Trend Jewelry. Dannijo. Color: Pink. Crystal encrusted choker in silvertone finish Brass plated rhodium Glass Length, 11.9" with 3.9" extension Lobster clasp closure Imported. Fashion Jewelry - Trend Jewelry. Dannijo. Color: Silver. 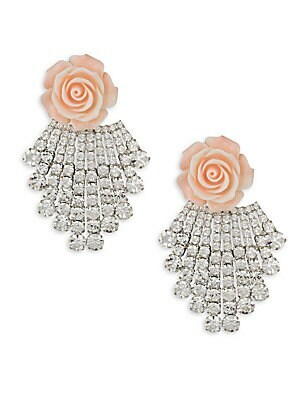 Crystal encrusted clip-on earrings with delicate rose detail. Swarovski crystals Oxidized silverplated Plastic Clip on Made in USA SIZE 3.15"L x 2"W. Fashion Jewelry - Trend Jewelry. Dannijo. Color: Coral. Crystal pavé bars link sculpted openwork earrings Czech crystals Acrylic Brass-plated silver Length, 2.5 Post back Imported. Fashion Jewelry - Trend Jewelry. Dannijo. Color: Pink. 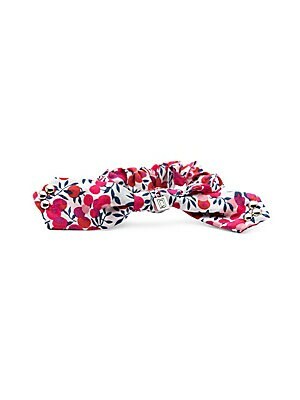 Crystals add shine to stretch floral textile bracelet Can be used in hair Swarovski crystals Cotton Stainless steel Diameter, 3 Slip-on style Made in USA. Fashion Jewelry - Trend Jewelry. Dannijo. 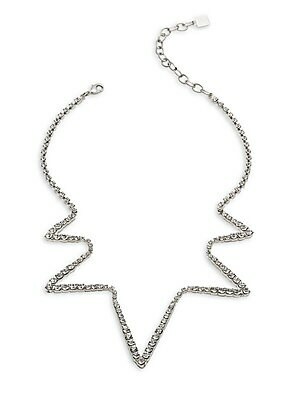 Edgy silvertone necklace with radiant pavé stones. Brass-plated rhodium Glass Lobster clasp closure Imported SIZE Length, about 15" with 3.5" extension. Fashion Jewelry - Trend Jewelry. Dannijo. Color: Silver. 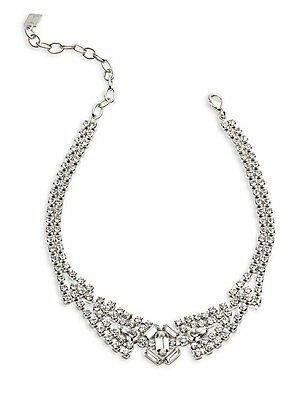 Floral collar necklace with shimmering crystals. Glass crystals Oxidized silver Lobster clasp Imported SIZE Length, 11 with 3 extender. Fashion Jewelry - Trend Jewelry. Dannijo. Color: Silver. 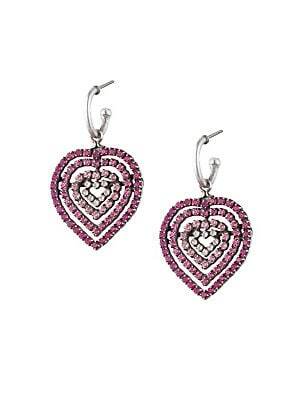 Heart drop earrings with ombré crystals. Glass crystals Plated oxidized silver Post back Imported SIZE 1W x 2L. Fashion Jewelry - Trend Jewelry. Dannijo. Color: Pink. 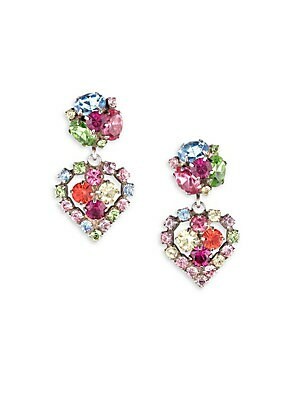 Heart-shaped drop earrings with colorful pave stones Brass plated oxidized silver Glass 1.3"L x 0.8"W Post back Imported. Fashion Jewelry - Trend Jewelry. Dannijo.